Streams of the River: The best Ordo available . . . get your 2018 one NOW! The best Ordo available . . . get your 2018 one NOW! I am among those who believe, without doubt, that the best ORDO available to western Christians is the one under the imprint of Tufton Books (i.e. The Church Union), still compiled each year by Father John Hunwicke, now of the Ordinariate of Our Lady of Walsingham. 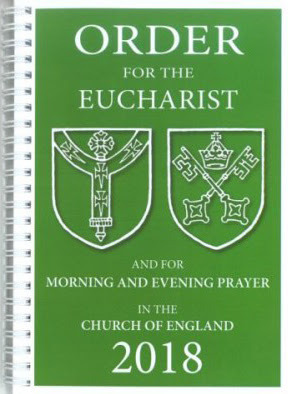 It painstakingly provides full information both for the Novus Ordo Roman Rite (Third Typical Edition) and the Church of England's Common Worship. There is also guidance for those who use the old Prayer Book. It is not too late to get your 2018 edition. Go HERE to purchase a copy online.